Graduates of Lawrence University are among the most “grateful” in the country for the education they received according to Forbes magazine. 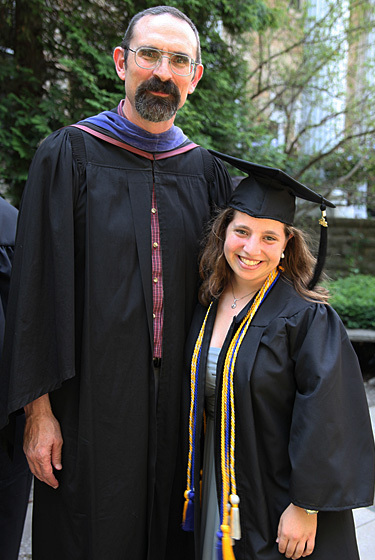 Associate Professor of Religious Studies Dirck Vorenkamp and Sarah Wolfson at Lawrence’s 2012 commencement. Lawrence was ranked 60th nationally among in Forbes’ 2014 “Grateful Grads Index,” the highest ranking of any college or university in Wisconsin. In an attempt to measure the value of a college degree, Forbes devised a rate of return based on the amount of private gifts given to four-year, not-for-profit colleges with enrollments of at least 1,000 over the past 10 years, an institution’s full-time enrollment and its alumni participation rates. 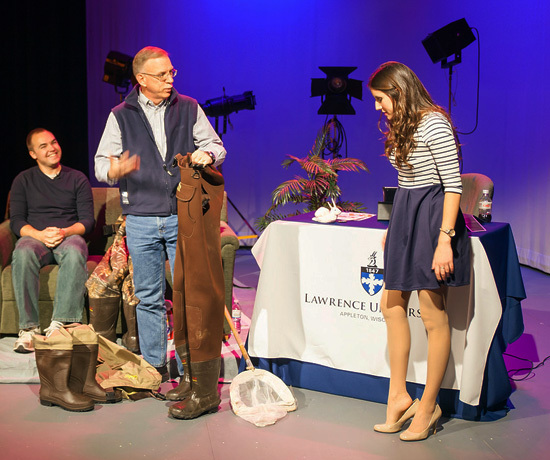 Lawrence students contribute to that communal atmosphere of gratitude by regularly demonstrating their own grateful spirit. Husmann cited a question-and-answer session following a recent performance by 40 music students in Chicago as just one example. In compiling its “Grateful Grads Index,” Forbes examined government databases for information on private donations to post-secondary institutions during the past decade. The magazine also calculated the percentage of graduates who donate to their alma mater each year, giving up to an additional 20 percent weighting to any institution whose giving rate topped 30 percent. 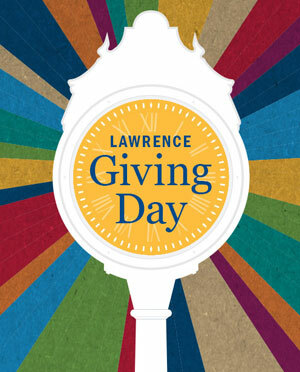 From 2009 through 2013, Lawrence’s alumni participation rate averaged 39.3 percent, 19th-best among the top 100 ranked schools in the Forbes index. Arthur Ullian was living what many would call “the good life.” Running a successful real estate development company in Boston that included the Eliot Hotel provided a comfortable lifestyle — influential friends, sailing and skiing trips, frequent travels abroad. That life, however, took a sudden and dramatic turn on the morning of July 5, 1991, when an innocent bicycle ride on a quiet country Massachusetts road ended tragically. Ullian was unexpectedly flipped over the handlebars of his bike, landed on his chin and hyper-extended his neck. Despite wearing a bike helmet, he suffered a bruised spinal cord that left him a quadriplegic. Undeterred, Ullian turned his personal tragedy into public advocacy, putting his political, entrepreneurial and financial experience into helping others through neurological research. Ullian will be among six Lawrence University alumni who will be honored for their career accomplishments and service June 16-18 when the college hosts its annual Reunion Weekend celebration. More than 900 alumni and guests from 38 states and six countries are expected to return to campus to participate in the weekend-long festivities. Two alumni will be recognized with distinguished achievement awards and four will he honored with service awards during the annual Reunion Convocation Saturday at 10:30 a.m. in the Lawrence Memorial Chapel. A 1961 Lawrence graduate, Ullian will receive the Lucia R. Briggs Distinguished Achievement Award. Named in honor of the second president of Milwaukee-Downer College, the Briggs award recognizes alumni of more than 15 years for outstanding contributions to and achievements in a career field. Since his accident, Ullian has devoted his life to advancing neuroscience research and raising public awareness on the cost of neurological disease through a variety of organizations and committees. For the past 13 years, Ullian has served as president of the National Council on Spinal Cord Injury, becoming a fixture at congressional hearings where he passionately advocates for increased funding for research. During his NCSCI tenure, he has collaborated with the Christopher Reeve Foundation, the Laskar Foundation and the Dana Alliance, among others. In addition to his NCSCI presidency, Ullian is currently serving the second four-year term of an appointment that began in 1999 on the Advisory Committee to the Director of the National Institutes of Health. The committee advises the Secretary of Health and Human Services and the Director of the NIH on biomedical research, medical science and biomedical communications. From 1996-99, Ullian also served as a member of an advisory panel to the National Institute of Neurological Disorders and Stroke (NINDS), helping review scientific applications for financial support for biomedical research and training on disorders of the brain and nervous system. 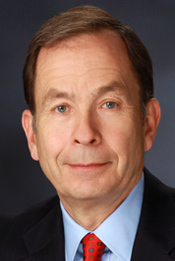 In 2005, he was named to the Harvard University Stem Cell Advisory Committee and currently serves as chairman of the Boston-based Task Force on Science, Health Care and the Economy, which examines factors related to biotechnological innovation that will combine to alter medical knowledge and practice, outcomes and costs in the coming decades. The American Academy of Neurology Foundation recognized Ullian’s efforts on behalf of neurological disorders in 1996 with its Public Leadership in Neurology Award. In 1999, Ullian became just the second recipient of the “CURE” Award, which honors exemplary service and dedication to the field of spinal cord injury research. 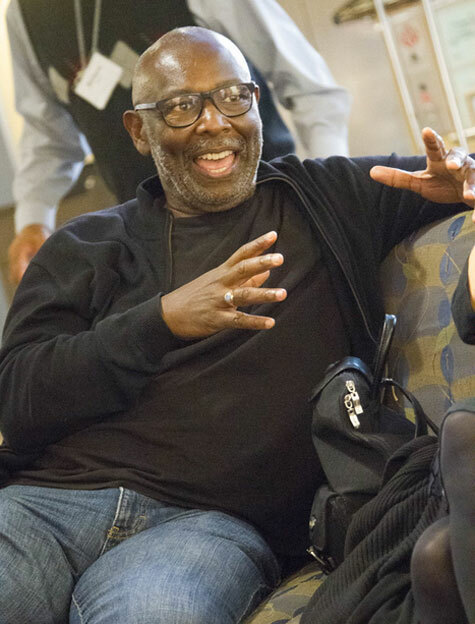 The Boston-based mentoring organization Partners for Youth with Disabilities honored him for his contributions to the disabilities community in 2004 and that same year, Rutgers University presented him an honorary Doctor of Humane Letters degree. Growing up on a 50-head dairy farm in Sauk Prairie gave Catherine Statz an early appreciation for rural life and the value of cooperatives. Since graduating from Lawrence in 1996, Statz has dedicated her career to advancing the quality of life for farm families, rural communities and all people as the education director for the Wisconsin Farmers Union in Chippewa Falls. Statz will receive the Nathan M. Pusey Young Alumni Distinguished Achievement Award, which recognizes Lawrence alumni of 15 years or less for significant contributions to and achievements in a career field. The award honors the 10th and youngest president of Lawrence and an exemplary figure in higher education in the 20th century. For the past seven years, Statz has collaborated with the Minnesota Farmers Union to organize the annual College Conference on Cooperatives in Minneapolis. Each year, 80 post-secondary students and faculty from throughout the Midwest meet for a three-day educational conference on the challenges facing the cooperative environment and the future face of co-ops. She also has been instrumental in developing the international Building Cooperative Futures youth program. 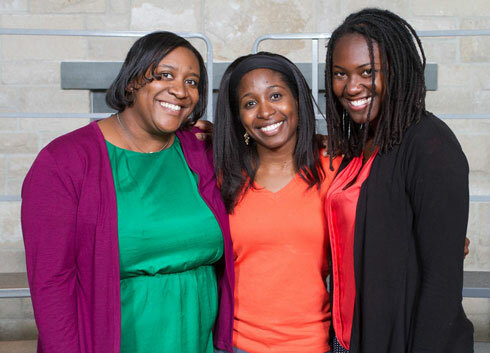 Started as a pilot program in 2003 with the help of a $5,000 grant from the Cooperative Foundation of St. Paul, Minn., the program has grown into an annual conference held each May to provide a collaborative, cross sectional approach to cooperative education for young adults. Last month, Statz led a delegation of American representatives to this year’s conference in Manchester, England, where 100 participants gathered from 10 countries. Manchester is near Rochdale, widely considered the birthplace of the modern cooperative movement and conference participants visited the legendary store — now a small museum — on Toad Lane where the first co-op was launched. In 1999, the Association of Cooperative Educators honored Statz with its William Hlusko Memorial Award to Young Cooperative Educators in recognition of outstanding achievement in cooperative education. Jose Hernandez-Ugalde, a 1996 Lawrence graduate and native of Costa Rica, will receive the George B. Walter Service to Society Award. Named in honor of Walter, a 1936 graduate, former faculty member and dean of men at Lawrence who believed strongly that every individual can and should make a positive difference in the world, the award recognizes alumni who best exemplify the ideals of a liberal education through socially useful service in their community, the nation or the world. For the past four years, Hernandez-Ugalde has served as Costa Rica’s country director for Cross-Cultural Solutions, an international organization founded in 1995 that provides individual and small-group volunteer experiences in 10 countries. The program is recognized for its on-site support and education for volunteers and the year-round presence it maintains in the communities it serves. Since joining CCS, Hernandez-Ugalde has established two volunteer centers, one in his childhood hometown of Ciudad Quesada and a second in Cartago, the country’s oldest and third-largest city. 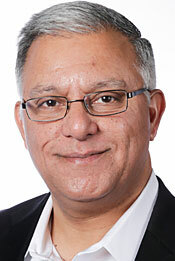 Praised as “an ambassador who connects North American and Latin American experiences” by those who have worked with him, Hernandez-Ugalde is responsible for hiring and supervising all in-country CCS staff members. He also matches volunteers from around the world with locally-run partner programs that include everything from working with deaf children and creating positive activities for at-risk youth to helping provide care for nursing homes patients. Beyond placing participants with volunteer opportunities, Hernandez-Ugalde plays a central role in immersing volunteers in the local culture and the lives of the people they are there to help. His personal interests center around incorporating the arts into his home community and he serves as a liaison in nearby San Carlos for the National Theater Company located in the capital city of San Jose. Prior to joining CCS, Hernandez-Ugalde worked with the Foreign Service Foundation for Peace and Democracy, where he specialized in conflict resolution and the elimination of child labor. He was a visiting faculty member at the Close-Up Foundation in Washington D.C., teaching courses on civic education and democracy and has served as a protocol official for the United Nations Conference on the Environment. Margaret (Banta) Humleker, Kathleen (Karst) Larson, and Peter Kelly will each be presented the Gertrude B. Jupp Outstanding Service Award. The award honors Jupp, a 1918 graduate of Milwaukee-Downer College who was named M-D Alumna of the Year in 1964 for her long volunteer service to the college and recognizes Lawrence and Milwaukee-Downer alumni who have provided outstanding service to the college. 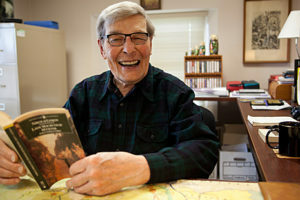 Humleker, Fond du Lac, a 1941 graduate, served the college as member of the Board of Trustees for 24 years and has spent more than 30 years as a class secretary. She has served on numerous reunion gift and steering committees over the years and has been a Lawrence representative at college presidential inaugurations. A second generation Lawrence graduate, Humleker also had two sons and a granddaughter earn degrees from Lawrence. Larson, McAllen, Texas, a 1960 graduate, holds the distinction of being the longest serving class secretary in Lawrence history — 42 years and counting. In addition, she is a long-serving reunion steering committee member and former board member of the Lawrence University Alumni Association. 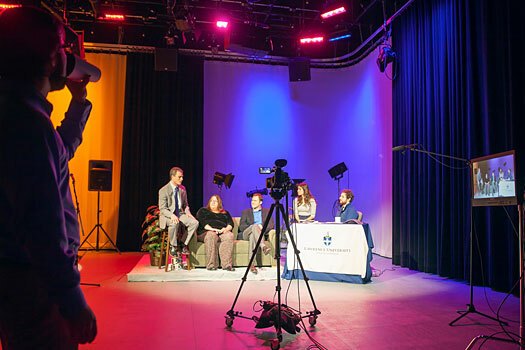 She also has served as a Career Center contact, an admissions office volunteer and was instrumental in helping Lawrence launch LENS, an electronic alumni newsletter. Kelly, West Newton, Mass., a 1987 graduate, will be recognized with the college’s highest alumni service award at the youngest possible age — during his 20th class reunion. He has served in numerous lead volunteer capacities since leaving Lawrence, including co-chair of his class’ 10th reunion gift committee. He spent three years as a member of the executive committee of the Lawrence University Alumni Association and has been an ambassador peer solicitor the past three years. He also has been active as a Career Center contact and admissions volunteer. The world premiere of “We Fall…We Rise,” a commissioned work by award-winning composer Javier Arau, ‘98, will be performed Sunday, May 28 at 2 p.m. in Harper Hall as part of the second annual Lawrence University saxophone studio and alumni recital. Arau’s work as a performer, composer and arranger has been recognized four times by Down Beat magazine. He earned back-to-back “DBs” in 1996 and 1997 as a student at Lawrence for solo performance (tenor saxophone) and original composition, respectively, and earned two more Down Beat awards as a graduate student at the New England Conservatory, where he earned a master’s degree in composition after graduating from Lawrence. “We Fall…We Rise” is the product of a commission specifically for this recital that Lawrence saxophone alumni offered Arau, who will make the trip from his current home in New York City to attend Saturday’s recital. The composition will be performed by an 15-member ensemble of alumni and current students. Arau, who moved to New York exactly 10 days before the September 11, 2001 terrorist attacks, says “We Fall…We Rise” is not a tribute to or partisan political statement about “9/11,” but more an expression of a common goal for an end to so much turmoil in the world. On a more personal level, it also represents his own struggle as a young musician trying to carve out his own niche in a city that is both exhilarating and rewarding as well as enormously challenging and unforgiving. Since 2001, Arau has established himself as a sought-after composer, arranger, saxophonist and music teacher. He performs regularly with various bands at several of Manhattan’s top jazz clubs, his commissions have been performed around the world and his compositional output has expanded to include musical theater and feature films. In 2002, Arau was awarded ASCAP’s first annual Young Jazz Composer Award and two years later he was named a member of the BMI Jazz Composers Workshop. In addition to “We Fall…We Rise,” more than 30 alumni and current saxophonists will be joined by a three-member percussion ensemble and a pianist in a multi-media presentation of Louis Andriessen’s “Workers Union.” Alumni and current students also will also perform works by Philip Glass, Michael Torke, and current LU senior Jacob Teichroew. For nearly 30 years, Jean Schumaker has been working on mechanisms for improving the learning effectiveness of students with learning disabilities as well as the instructional effectiveness of teachers. The co-founder of the Center for Research on Learning at the University of Kansas, Schumaker is one of eight Lawrence University graduates who will be recognized Saturday June 19 for their accomplishments and service as part of the college’s annual Reunion Weekend celebration. Lawrence will welcome nearly 1,000 alumni and guests from 42 states and four countries, including Australia and South Africa, back to campus for a variety of weekend-long activities. Three alumni will be recognized with distinguished achievement awards and five will he honored with service awards during the annual reunion convocation Saturday at 11:10 a.m. in the Lawrence Memorial Chapel. Schumaker and David Hawkanson, executive director of Chicago’sSteppenwolf Theatre, will receive the Lucia R. Briggs Distinguished Achievement Award. Named in honor of the second president of Milwaukee-Downer College, the Briggs award recognizes alumni of more than 15 years for outstanding contributions to and achievements in a career field. A 1968 graduate with a major in psychology, Schumaker co-founded UK’s Center for Research Learning in 1978 and serves at its associate director today. Also an associate professor in the UK’s department of special education, Schumaker is regarded as one of the nation’s leading researchers in the field of learning disabilities. She has been principal investigator of research grants and contracts totaling nearly $60 million and has written more than 80 articles for professional journals, 29 book chapters and 45 books and instructional manuals for classroom teachers, including “Teaching Every Adolescent Every Day: Learning in Diverse High School Classrooms,” which she co-edited. Schumaker also founded the International Training Network (ITN), whose 1,200 trainers teach educators throughout the world to use the scientifically based instructional practices developed by the CRL. In 1983, she established Edge Enterprises, an educational research and publishing organization that provides specialized instructional materials to educators. She earned her Ph.D. in development and child psychology from the University of Kansas and was trained as a somatic experiencing practitioner in trauma therapy by the Ergos Institute. She is a member of the University of Kansas Women’s Hall of Fame and have been a recipient of the Outstanding Achievement Award of the Council for Exceptional Children’s Division for Learning Disabilities. Hawkanson, who earned a bachelor’s degree in theatre and drama in 1969, has enjoyed a distinguished 30-year professional career managing regional theatres across the country. Prior to being named executive director of Steppenwolf Theatre in 2003, Hawkanson spent six years (1996-2001) as managing director of the Guthrie Theater in Minneapolis, where he first began his career as a house manager in 1970. He also has held managerial positions with the American Conservatory Theater, served as managing director of the Arizona Theater Company and spent eight years as managing director at the Hartford Stage Company, which received a special Tony Award in 1989 for outstanding achievement in regional theatre while under his management. 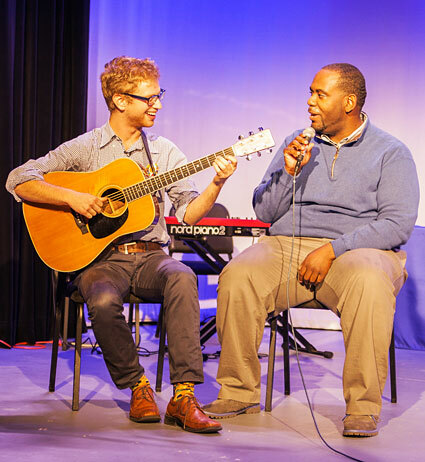 the National Arts Stabilization Fund and worked as a panelist and advisor to both the Ford Foundation’s Working Capital Fund and the Minneapolis Foundation’s Working Capital Reserve Fund. member of the Alliance for Arts Advocates, Theater Trustees of America, the Theatre Communications Group, Minnesota Citizens for the Arts, New York Stage and Film and the American Arts Alliance. Mary Louise Knutson, a 1988 graduate and piano performance major, will receive the Nathan M. Pusey Young Alumni Distinguished Achievement Award, which recognizes Lawrence alumni of 15 years or less for significant contributions to and achievements in a career field. The award honors the 10th and youngest president of Lawrence and an exemplary figure in higher education in the 20th century. A jazz pianist and composer based in Minneapolis, Knutson has been called “one of the most exciting and innovative artists to happen to jazz piano in quite some time.” Her debut jazz trio CD, “Call Me When You Get There,” spent eight consecutive weeks in the top 50 in the United States and Canada following its 2001 release and earned Knutson “Top New Jazz Instrumentalist of the Year” honors. The CD’s title track composition was selected as the music for the art documentary “Wellington Lee: 60 Years of Artistic Photography” and soon will be heard at major art museums across the country. She has performed with jazz greats Dizzy Gillespie, Bobby McFerrin, Dianne Reeves, Slide Hampton, Richie Cole and Greg Abate, among others as well as Smoky Robinson, the Osmonds and Engelbert Humperdinck. She has toured internationally as lead keyboardist for Synergy (formerly known as Rupert’s Orchestra) and regularly plays clubs, festivals and concert halls around the country with her jazz trio or as a soloist. Knutson has been honored numerous times as a composer, including two awards from Billboard magazine for her compositions “How Will I Know? and “Meridian.” In addition, her composition “Merle the Pearl” streams on the Internet as the theme music for “Jazz Release,” an interview program on JazzSteps.com. A former instructor in jazz piano and improvisation at Carleton College, Knutson is a member of the International Association for Jazz Education and teaches a variety of masterclasses, including “Jazz Voicings and Scales: Freedom from the Written Page” for beginning jazz students and “What’s Up with Jazz?” for non-musicians. William Mittlefehldt, a 1968 graduate, will receive the George B. Walter Service to Society Award. Named in honor of Walter, a 1936 graduate and former faculty member and dean of men at Lawrence, who believed strongly that every individual can and should make a positive difference in the world, the award recognizes alumni who best exemplify the ideals of a liberal education through socially useful service in their community, the nation or the world. 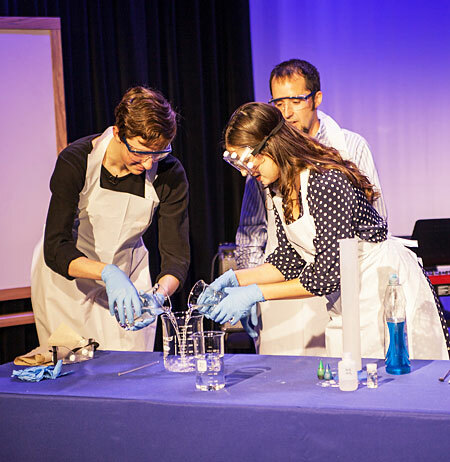 Since 1974, Mittlefehldt has taught social studies, futuristics, environmental issues and — by example — community service at Anoka High School in Minnesota with imagination, energy and personal commitment. Widely recognized as the author of innovative and effective curricula, Mittlefehldt’s economics curriculum “Minnesota, Where Are We Growing?” earned first-prize honors in the 1987 National Economics Award Program. In 1992, he was honored by the Amway Corporation and Time magazine as one of nine “Earth Teachers of the Year” for his curricular unit “Energy: How Weather Is Created,” which also earned Anoka High School a $10,000 grant from Amway. In 2002, Mittlefehldt was named a regional winner of the NASDAQ Distinguished Teaching Award and most recently, he was a first-place winner at the secondary-school level of the 3M-sponsored Innovative Economic Education Awards. Mittlefehldt has led student teams to testify before the United Nations, the U.S. House of Representatives Budget Committee and the Minnesota legislature and has directed numerous other student ventures into the realm of education through activism. He serves on the national advisory board for Rescue Mission Planet Earth, is an advisor to Vermont’s Center for a Sustainable Future and serves as a curriculum designer for the Water on the Web team at the University of Minnesota. Kelly Carroll Rhodes, a 1989 graduate, and Gina Perri Jaeckl, a 1994 graduate, will each receive the Marshall B. Hulbert Young Alumni Service Award. Presented to alumni of 15 years or less who has provided significant service to the Lawrence, the award honors Marshall Hulbert, a 1926 graduate known as “Mr. Lawrence,” who contributed to thousands of Lawrentian lives and served the college and the conservatory in many significant capacities for 54 years. Rhodes, Edina, Minn., has served as class secretary for her class for 11 of the 15 years since she graduated. She has served on all three reunion steering committees and has volunteered as a career contact and an admissions volunteer. In 2003, she completed a four-year term on the Lawrence University Alumni Association Board of Directors, during which she was a member of the student relations committee and later assumed leadership of the careers committee, which included serving on the board’s executive committee. Jaeckl, Chicago, has been active with her 5th- and 10th-year reunion steering committees and also served on the gift committee for her 10th Reunion this year. She has worked as a volunteer for the admissions program and served for three years as a career contact. In addition, she has helped organize and host alumni events in the Chicago region and been active the Viking Gift Committee, soliciting support from young alumni for The Lawrence Fund. Husband and wife Walter and Barbara Ives Isaac, Lakewood, Colo., will share the Gertrude B. Jupp outstanding Service Award. Named in honor of Gertrude Jupp, a 1918 graduate of Milwaukee-Downer College who was named M-D Alumna of the Year in 1964 for her long volunteer service to the college. Both members of the class of 1964, the Isaacs have served as key alumni leaders, working on every reunion committee since they graduated. Barbara Isaac has served as a volunteer admissions worker in the Denver area for more than 20 years, coordinating countless admissions events and persuading many Denver high school students to enroll at Lawrence. Walter Isaac served on the Lawrence University Alumni Association Board of Directors for six years, where he chaired the communications committee for two years and served on the executive committee for four. He served as president of the LUAA from 2001-03.